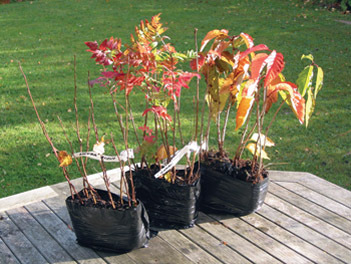 The Woodland Trust is offering free packs of trees to schools and community groups, and is now taking applications for planting this autumn. Last month, 114 schools and 38 community groups across Northern Ireland donned welly boots to plant over 10,000 trees. Autumn hedge and copse from the Woodland Trust. Groups can now choose between packs of 30, 105 or 420 saplings, depending on how much space they have to plant. There are different mixes of tree species to choose from too, including packs themed for autumn colour, wood fuel and wildlife. Planting trees is the perfect way to help children and young people connect with and learn about nature, helping them become future guardians of the environment. And, according to the Woodland Trust, collective tree-planting efforts are particularly welcome in Northern Ireland, which ranks badly as one of the least wooded regions in Europe. The country has a mere 7 per cent woodland cover, compared to the European average of 44 per cent. Patrick Cregg, director of the Woodland Trust, said: “We want to give as many people as possible, including children, the chance to plant trees. This is a fantastic opportunity to do something positive and lasting for the local landscape, while learning about nature and simply having fun.